Silicon Valley is the most innovative region in California and the entire USA. This region is home to a number of world wide technology companies. Home to Google, Facebook and Apple among others, Silicon Valley is a bastion of incredible wealth and technological innovation and creativity. 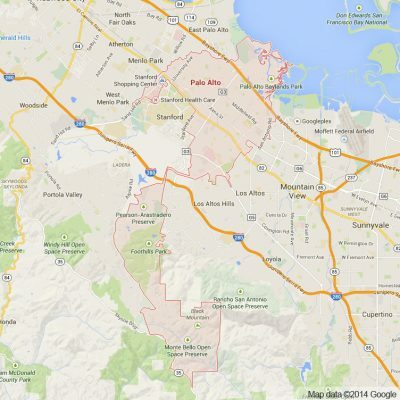 In the center of all that Silicon Valley has to offer is the city of Palo Alto. 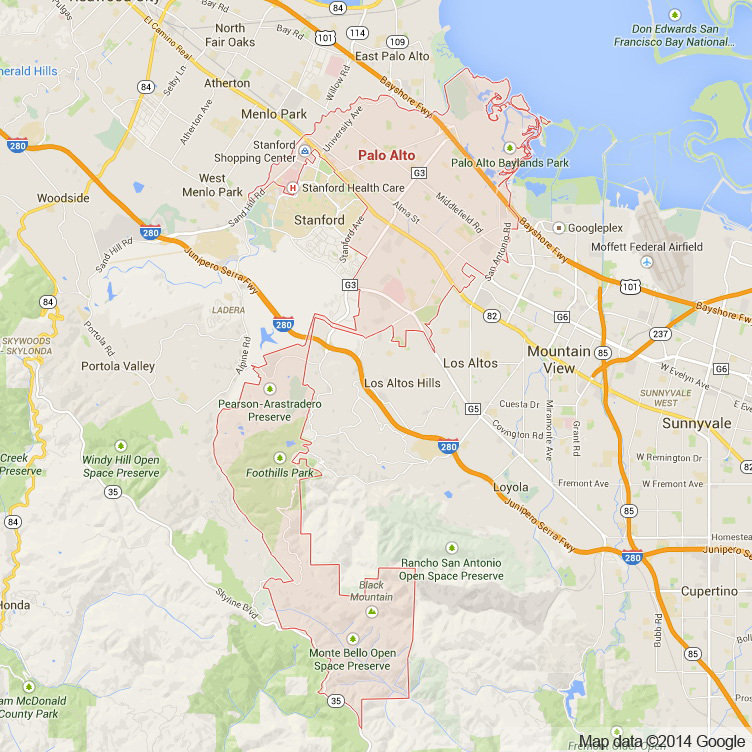 Palo Alto sits at the northern edge of Santa Clara County and is home to no more than 65,000 people. Palo Alto is home to many prominent technology firms which include: Hewlett Packard, Skype, Nokia Research Center, Mercedez-Benz Research and Development North America Headquarters, AOL Inc, Dell and many more. Palo Alto is also a hub of investment and venture capital. Alongside this impressive list of innovative companies Stanford University is also based in Palo Alto. Stanford is one of the top universities in the entire world. It consistently tops international lists in countless disciplines and is a premier destination for researchers from all over the world. Stanford is home to a number of must see destinations such as the Stanford Theater and Arboretum. Downtown Palo Alto is located on University Avenue and hosts a number of worthwhile and delicious restaurants and bars. For those interested in seeing a different side of Palo Alto there are a number of other interesting and intriguing attractions. Palo Alto Baylands Nature Preserve, Matadero Creek, Arizona Cactus Garden and Arastradero Preserve are nature oriented outdoor destinations that help make Palo Alto the perfect intersection between the natural and the technological world. These beautiful gardens and other outdoor adventures make Palo Alto a dynamic Bay Area city that holds the best of the innovative technology oriented world and of course the beautiful natural setting of the Bay Area. Apex Limousine Transportation is now offering all of our comprehensive limo services to the residents and visitors of Palo Alto. For those who are visiting from outside the Bay Area and need a pick up or drop off at one of the major Bay Area airports SFO,OAK or SJC our reliable and professional limo drivers are always timely and will never leave you waiting. If you are beginning to organize your wedding day we are also here to help. One of our specialties is wedding day services. We work directly with couples, families and wedding planners to ensure that your day is as special as it can be. Our fleet of limousine, sedan, and SUV vehicles are perfect no matter what the size or scope of your special day. If you aren’t quite ready for marriage yet because you are still in High School we also offer High School students in Palo Alto and surrounding areas full junior prom and senior ball services. We are a favorite limousine transportation company among parents and students alike because we are as committed to safety as we are to ensuring students have a great time. If you are looking to explore somewhere outside of Palo Alto and the Silicon Valley, we also offer full Napa Valley Winery Tours. Our knowledge of the area allows us to customize a Wine Country adventure that meets your tastes, the size of your party and specific interests. For those who are just visiting the Bay Area and want to explore all that Silicon Valley has to offer in luxury and style Apex Limousine Transportation can also give tours in Palo Alto. We promise that when riding with Apex you aren’t just getting from point A to point B. Instead you are enjoying an experience you will never forget. So please give us a call today so tomorrow we can ride together in luxury. Please call us for car service all inclusive total for Palo Alto to/from Napa Valley transfer.